The National Council of Churches in the Philippines (NCCP) joins the call of the United Methodist Council of Bishops including the United Methodist Bishops in the country for the immediate release of Tawanda Chandinawa and let him go home to his family in Zimbabwe. Tawanda is a missionary of the General Board of Global Ministries of The United Methodist Church (GBGM-UMC) who was assigned in Mindanao. 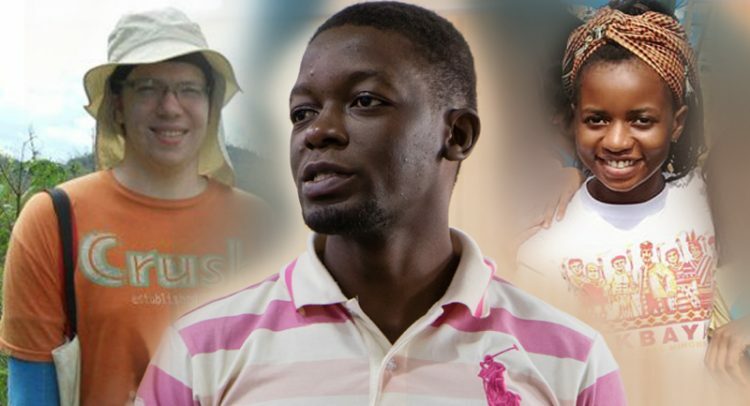 Two other GBGM-UMC missionaries, Adam Shaw from the US and Miracle Osman of Malawi, are also experiencing difficulties in obtaining the necessary papers and legal documents in order for them to leave the country. The three missionaries are reportedly on a “watchlist” after participating in an international ecumenical fact-finding investigation of alleged human rights violations in Mindanao around General Santos City. Tawanda has been in custody of the Bureau of Immigration (BI) in Davao City since May 9 and was transferred to the BI detention center in Taguig last June 4. He was charged with overstaying his missionary visa, although he was in the process of applying for a tourist visa for the remaining period of his 20-month mission service in the Philippines. Miracle’s passport was confiscated while in the process of renewing her missionary visa, while Adam has been unable to obtain an exit clearance certificate. Like Sr. Patricia Fox, the three missionaries have earned the ire of the Bureau of Immigration for doing what their Christian faith calls them to do – to advocate for peace and human rights and to be in solidarity with the least of our sisters and brothers. These are young people who have dedicated their lives to follow Christ’s teaching. The NCCP raises our concern about the conduct of the Bureau of Immigration with regard to mission personnel and the reports of their different “lists”. We fully believe that the mission of the church knows no borders even as NCCP member churches, like the UMC, have always sought to comply with government rules and regulations. We call on our member churches to pray and work for Tawanda’s immediate release and the resolution of the cases of all three missionaries. We respectfully call on President Rodrigo Duterte to settle this matter with compassion and concern. As missionaries crisscross the world, we should treat foreign mission personnel the way we want Filipino missionaries to be treated while abroad. It is written: “…extend hospitality to strangers” (Romans 12:13). REV. DR. REX RB REYES, JR.